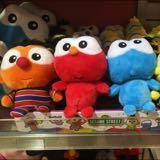 elmo.sg Great buyer. Sincere, friendly, punctual. Very pleasant engagement. Thank you very very much for your comment. @louis88 is on Carousell - Follow to stay updated!